In effort to bring the best of the best in blogging to our readers, we are presenting an interview series with Plutus Awards winners to highlight their efforts as well as share tips and tricks of theirs to the blogging community they serve. Since winning a Plutus Award takes a lot of hard work, these bloggers may share some insight that could inspire you to win your very own! Today’s interview is with Elle Martinez of Couple Money. 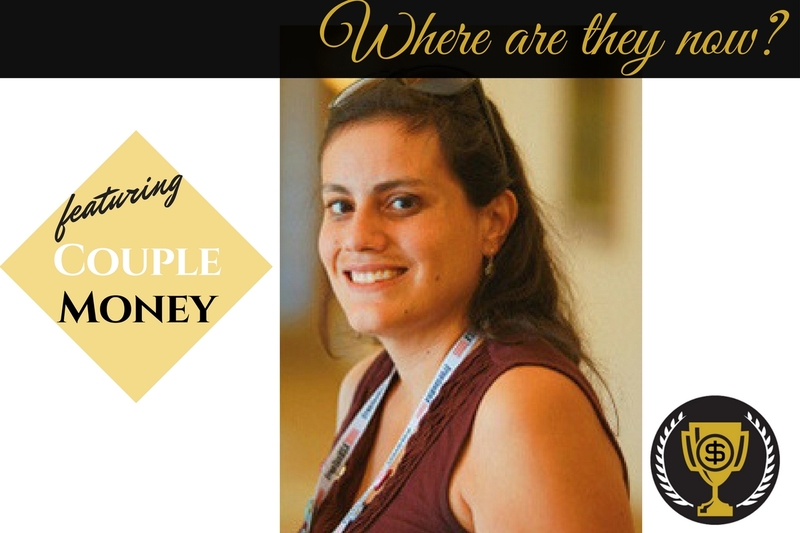 Elle has been a personal finance writer for over 7 years and decided to start Couple Money to help couples learn how to build their finances together. 1. Can you tell us about your blog and what Plutus Award you won? I started Couple Money because while there were some fantastic personal sites and blogs out there, I couldn’t find one at that time that dealt with the questions we had about marriage and money. How do we get on the same page with money? What’s the right budget? What should we do when we don’t agree on how (and how fast) to pay off debt? What about lending money to family? I was grateful Couple Money won the Plutus Award for Best Family Finance Blog last year. 2. How did you feel winning the award knowing it was from your peers? I was definitely excited. I put a lot into Couple Money through the years and it felt wonderful to be recognized by the community. Hopefully, no one caught the tears I had when I picked up the award on stage ? I love the FinCon community! There are some incredibly generous people who love to support and help out. I remember the first FinCon I attended (the first one!) where I was a new mom with a baby. So many were encouraging and helpful. 3. Where are you now? Are you still doing the same blog? How has it changed? Whew, this year has been a whirlwind! I’m still working on Couple Money as well as Simplify & Enjoy. Since the Plutus Awards, things have been speeding along. At the beginning of the year, I collaborated with some fantastic FINCON buddies for the New Year, New You Financial Summit. Doing video was completely new to me, but I immediately saw and felt the connection as we were hosting the summit. Afterward, I was busy getting my book ready. I launched it last month – Jumpstart Your Marriage and Your Money! One thing I’m excited about is how it pulls and connects everything I’ve been doing on Couple Money through the years. The podcast interviews were incredibly helpful as I share patterns, habits, and systems that helped couples pay off the debts, save for their dreams, and in some cases, retire very early. 4. What advice would you give someone looking to grow their blog today? Focus on what your site’s Big Why – Why are you creating this? Who do you hope to encourage, teach, and/or serve? Couple Money has been around since 2009 and I have seen how the traffic can shift and change through algorithm changes and what not. If you serve your community and hone in that special need you can help with, you’ll grow. Tied to that, make sure your newsletter reflects that sense of community and relationship you want to have. Have conversations with your subscribers, not just site updates. 5. Blogging can be tough. How do you keep up with motivation? Remember that as you grow, your blog will too. I never imagined myself doing a podcast and doing video, but through the years, I saw that there was a need. Embracing this challenge has also helped me to not burn out and explore the topic deeper. If you can, meet up with local readers. Have workshops or video chats and listen to what they are saying. It has encouraged me to approach things with a different perspective. 6. Where do you see yourself going from here? 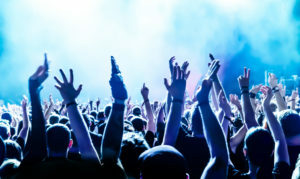 Any plans in the works you can share with us? Having started video this year, I’ve already seen how it can me connect with the community and make it easier to see and hear stories of couples who have worked together on their finances. With the book out, I knew I wanted to create a course that would incorporate video, audio, and discussion that could encourage and motivate couples to achieve their goals. I’m putting the finishing touch, so Jumpstart Your Marriage and Your Money course will be out the first week in August! 7. What is your greatest achievement outside of blogging? I have to say, I’m really proud of creating a business around my family. It’s not always easy with deadlines, but I’m grateful for the opportunity to do something I love and help others while having time with my girls. Thanks for helping us get caught up with you, Elle! Please leave any questions or comments for Elle below. PrevPreviousAnnouncing Our Media Sponsor, Fidelity!